Interaction among people of different ethnic and racial backgrounds is growing in New Jersey, as the gap between diversity in the workplace — where interaction already was high — is closing. The third annual New Jersey State of Diversity Study, commissioned by Taft Communications and the New Jersey Business & Industry Association, also finds that younger people continue to be the most likely to encounter diversity in and out of work. Among respondents in the survey, 88 percent said they interact at work daily with someone of a different race or ethnicity, compared to 86 percent in last year’s study and 83 percent in 2016. Those who say they interact daily with someone of a different race or ethnicity outside the workplace rose to 71 percent this year, from 64 percent in last year’s survey and 59 percent in 2016. The biggest increases this year were among women, whites, and the 35 to 59 age group, demonstrating that living patterns for these groups are changing the most dramatically to match their work experiences. “The continued increases in workplace tolerance and diverse interactions outside of the workplace are certainly promising trends for the state of diversity in New Jersey,” added Taft President Ted Deutsch. Taft has polled New Jerseyans to gain insights into the day-to-day reality of and public attitudes toward diversity in the state during the past three years. This year’s poll was developed in conjunction with NJBIA and conducted by the Fairleigh Dickinson University Poll. The survey, fielded from May 16 to 21, is based on the responses of 619 randomly selected working adults in New Jersey. 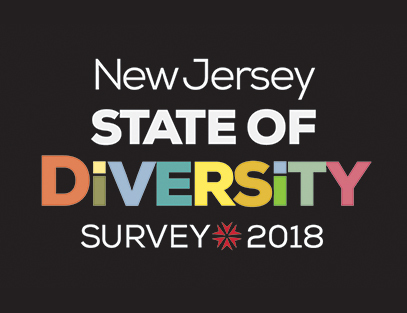 For full 2018 New Jersey State of Diversity poll results, visit here.